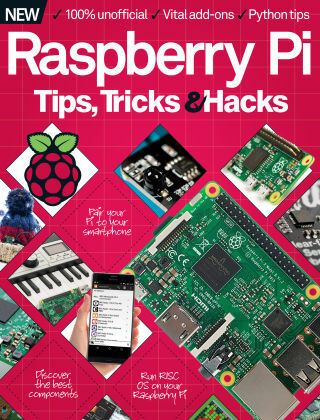 With Readly you can read Raspberry Pi Tips, Tricks & Hacks and thousands of other magazines on your tablet and smartphone. Get access to all with just one subscription. New releases and back issues – all included. Raspberry Pi Tips, Tricks & Hacks gives you everything you need to not only get up and running with your Raspberry Pi, and will help you fire up your imagination and unleash your creativity. This new edition also includes tips for using your new Pi Zero mini-computer, and over 40 creative projects for other Pi models. 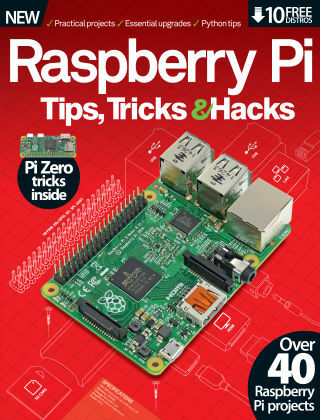 From tweeting wildlife cameras to arcade machines and touch-screen video players – and even remote control cars – this bookazine is jam-packed with fun, creative projects that will ensure you make the most of your Pi. Featuring: 50 ways to master Raspberry Pi - Delve into everything Pi has to offer with these expert tips. Tips - Practical projects for your Pi and more. Tricks - Add a touch screen and get creative with Pi. Hacks - Hack everyday objects and make a Minecraft power move glove.